UNDATED - Average retail gasoline prices in South Dakota have risen 1.3 cents per gallon in the past week, averaging $2.31/g yesterday, according to GasBuddy's daily survey of 628 gas outlets in South Dakota. 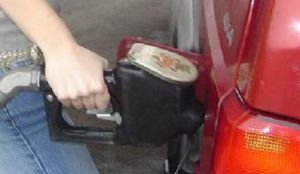 This compares with the national average that has increased 2.1 cents per gallon in the last week to $2.37/g, according to gasoline price website GasBuddy.com. Including the change in gas prices in South Dakota during the past week, prices yesterday were 40.4 cents per gallon higher than the same day one year ago and are 17.8 cents per gallon higher than a month ago. The national average has increased 16.2 cents per gallon during the last month and stands 39.3 cents per gallon higher than this day one year ago. $1.90/g in 2016, $2.01/g in 2015, $3.12/g in 2014, $3.11/g in 2013 and $3.21/g in 2012. Sioux Falls- $2.34/g, down 1 cent per gallon from last week's $2.35/g. North Dakota- $2.26/g, up 5.3 cents per gallon from last week's $2.21/g. Nebraska- $2.36/g, up 3.8 cents per gallon from last week's $2.32/g. "If there’s ever a time one could expect gasoline prices to flatline, this week should be one of them,” said Gregg Laskoski, senior petroleum analyst for GasBuddy. “Given the Dept. of Energy report last week of a huge build in gasoline inventory followed by the brutal 1-2 punch from Winter Storms Helena and Iras, that brings immediate and downward pressure on fuel prices. Between the two storms they’ve brought nearly a foot of rain, mudslides and rockslides to California & Nevada; snow, sleet & freezing rain in the Pacific northwest; snow and ice storms in the Plains and upper Midwest; and winter advisories in effect from the Deep South all the way to the northeast where nearly a foot of snow brought travel to a crawl on the I-95 corridor from North Carolina to Portland, ME,” Laskoski added.